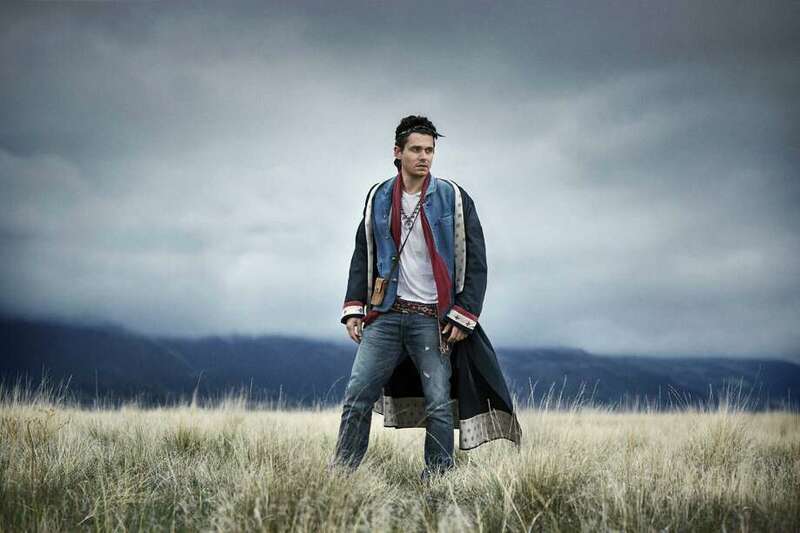 Bridgeport native John Mayer brings his Born and Raised Tour to the Comcast Theatre in Hartford Friday night, Aug. 16. After having so much go right early in his career, Bridgeport native and longtime Fairfield resident John Mayer has hit a rough patch. His first four studio albums all sold very well, as did his fifth, "Born and Raised." Where that album failed to gain traction was on stage, as a planned tour was called off after granulomas were found to have formed near his vocal cords. Though he initially blogged that it would be a "temporary setback," Mayer underwent two surgeries to fix the problem. Mayer, in an early July appearance on NBC's "Today" show, said he was always confident that he would make a full recovery and resume his career. "Thankfully, I always knew there was going to come a day when I'd sing again," he said. "It was just a matter of when." While unable to sing, Mayer could still play guitar and performed with the Rolling Stones in December in New Jersey, and on "Saturday Night Live" with singer Frank Ocean. Mayer finally made it back on stage in January after nearly two years away, and was well enough to help induct blues legend Albert Collins into the Rock and Roll Hall of Fame in May. Fully healed and with a new album, "Paradise Valley," scheduled for release on Tuesday, Aug. 20, Mayer is on an extensive world tour that will last through the end of October. Mayer's Born and Raised Tour will play his home state Friday, Aug. 16, when it stops at the Comcast Theatre in Hartford. "American Idol" Season 11 winner Phillip Phillips is the opening act. Some of the treatments for Mayer included having Botox injected into his neck. He said the procedure has altered his singing voice as the Botox slowly leaves his body, causing him to drop some of his songs from his live show. "It looks as if there are certain (of my) songs I won't play, (but) it's just I can't (yet)." Looking back on his time away from performing, Mayer was philosophical in a May 23 interview with Rolling Stone magazine. "It's not the worst thing that can happen to a human being, but it was pretty (lousy)," he said. "But I never threw a dish. I never punched a wall. "Somehow I just thought, `I'm living inside my biography right now, and this is just a paragraph.' "
As for the tour, Mayer, 35, is more than ready to get back on stage and perform in front of his fans. "I would just dream of things I wanted to do when I got back on stage," he told Rolling Stone. "The tour's going to be very different now. "I wouldn't say `jam band' ... but it's definitely more `jam band' than `guy with a guitar singing songs he wrote.' "
Comcast Theatre, 61 Savitt Way, Hartford. Friday, Aug. 16, 8 p.m. $75 pavilion, $36 lawn. 800-745-3000, www.livenation.com.